Like a tempting, over-flowing buffet line at a quality restaurant, DaVinci Roofscapes provides an endless array of designer roof possibilities for homeowners. First, there are the colors — oh, the colors! Whether you’re looking for a stately, refined gray or an eye-catching violet, we have the color you desire to perfectly complement your home exterior. In fact, we have 50 different colors AND we can combine different shades to create a personal blend of polymer roofing just for you. 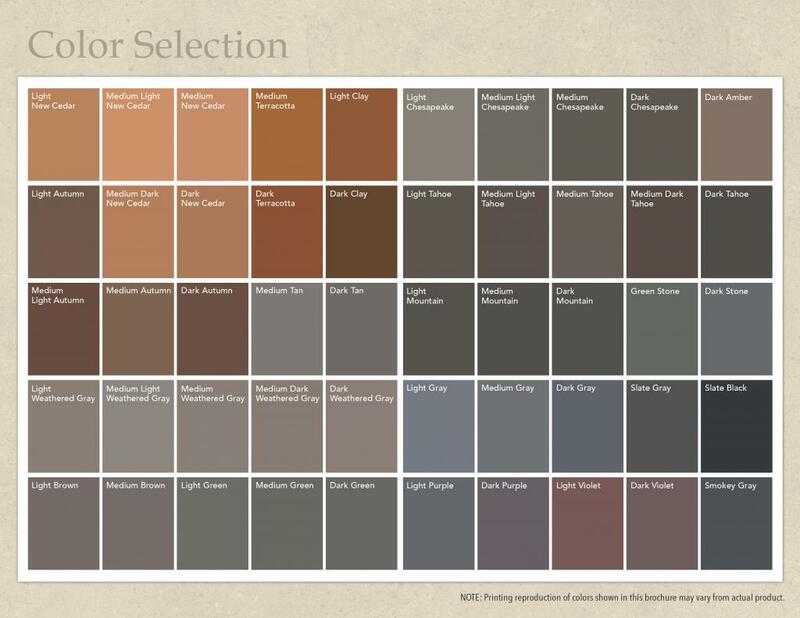 If you can’t find a color that doesn’t perfectly meet your desires, just bring us your favorite paint color swatch, jacket or nail polish and we can create a custom roof color to meet your needs! Second, the composite roofing choices. DaVinci offers simulated shake roofing and composite slate in our lightweight roofing materials. And, we don’t stop there. We have both multi-width and single-width offerings in our plastic roofing materials … plus good-better-best options for pricing. Unlimited possibilities at DaVinci Roofscapes is more than just a tagline — it’s our way of life. For more than 15 years we’ve proudly created slate roof alternatives and synthetic cedar shake roofing that authentically replicates the real product, but offers so many more advantages. Our sustainable roofing gives you peace-of-mind with our Class A Fire Rating, high wind and severe weather tolerance and lifetime limited warranty. Need more details? Then visit Which DaVinci Slate is Right for My Home? and DaVinci Shakes Up Cedar Shake Roofing Options.